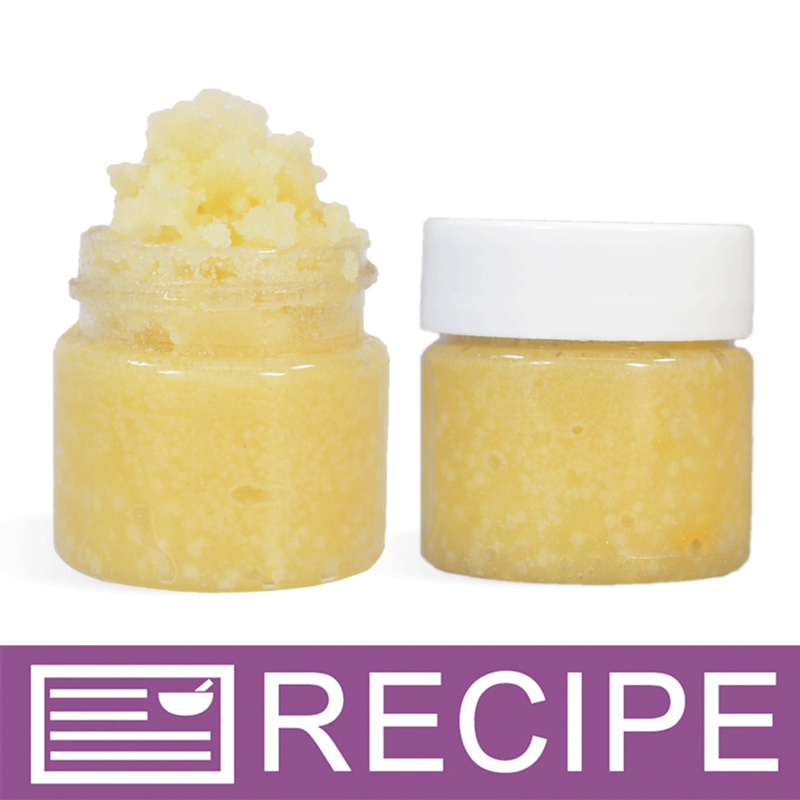 This lip scrub combines sugar and honey powder to make the ultimate sweet treat for your lips. Not only will your lips taste good, but they’ll feel amazing too! You Save $27.25 by purchasing this kit rather than buying the items separately. Sugar, Jojoba Oil, Medium Chain Triglycerides, Jojoba Oil, Cocoa Butter, Flavor Fragrance, Vitamin E, Honey, Maltodextrin, Fluorphlogopite, Titanium Dioxide, Iron Oxide. "Does the honey powder make it smell/taste like honey? Or could I keep the recipe the same but change the flavor oil and it will be fine?" Staff Answer The honey powder does add some sweetness to the product but not too much. It should not affect changing out the flavor oil but you should, of course, always test.